Everyone needs a good pasta sauce recipe in their life. One that is simple to whip up, effortlessly elegant, and incredibly delicious. I recently indulged in a tomato-less red pepper pasta at a small restaurant while on vacation. The creamy sauce carried a rich, spicy, and smooth flavor—totally unlike the normal red pasta sauces that I was used to. Intrigued, I created my own version. This sauce recipe is perfect for using summer veggies and herbs, while enjoying simple pasta. 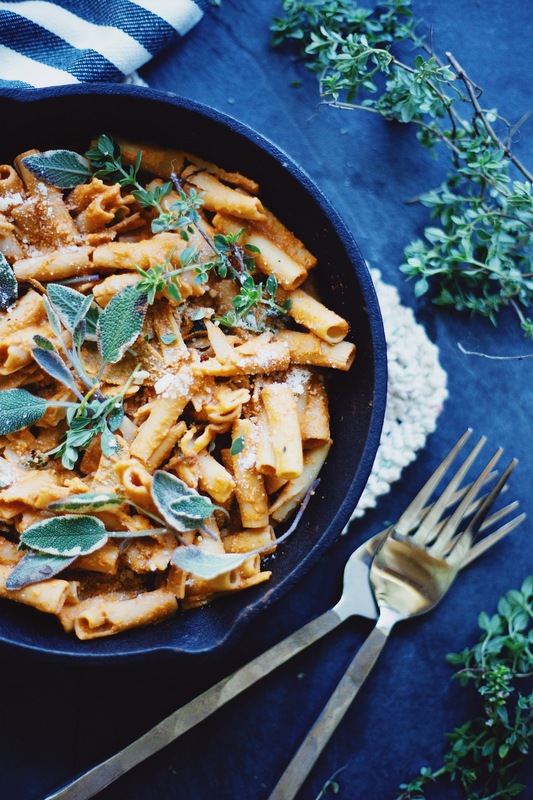 Let’s make Roasted Red Pepper & Herbs Pasta! The base for this sauce is charred red peppers, which create a rich and smokey flavor. Paired with garlic (for the flavor), walnuts (for their heartiness), olive oil (for the creamy-ness) and lemon juice (for the tang), this base tastes fancy, yet simple. Throwing fresh herbs in this recipe really puts the pasta over the top. Herbs add extra texture, flavor, and lovely color. Finally sprinkle on your favorite type of parmesan cheese, and you’ve got yourself a pot of delicious pasta. & so simple to make! 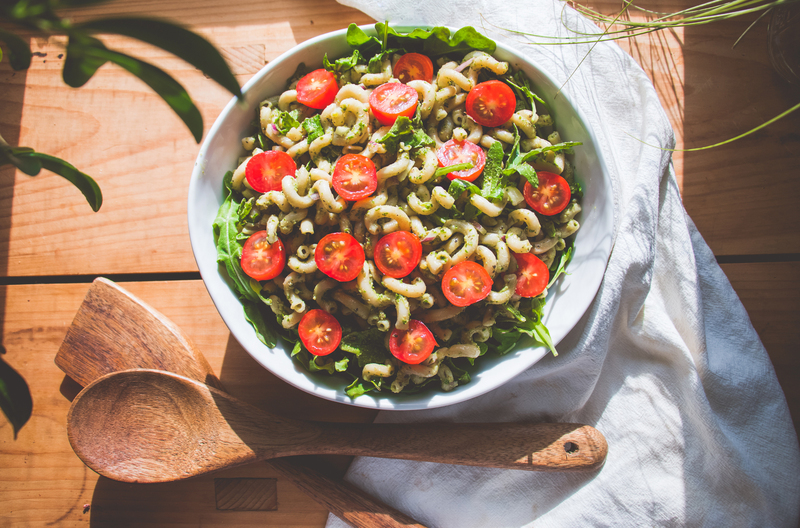 If you like this recipe you might also like my vegan mac and cheese, avocado pesto pasta salad, mediterranean quinoa salad, or my late summer salad with tahini dressing. Everyone needs a good pasta sauce recipe in their life. 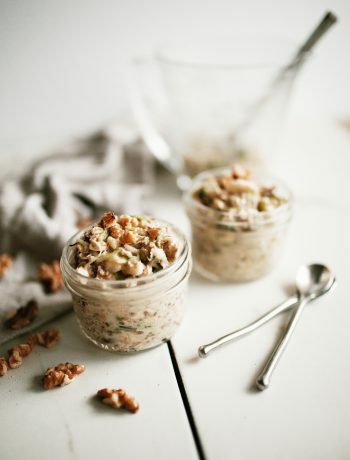 One that is simple to whip up, effortlessly elegant, and incredibly delicious. 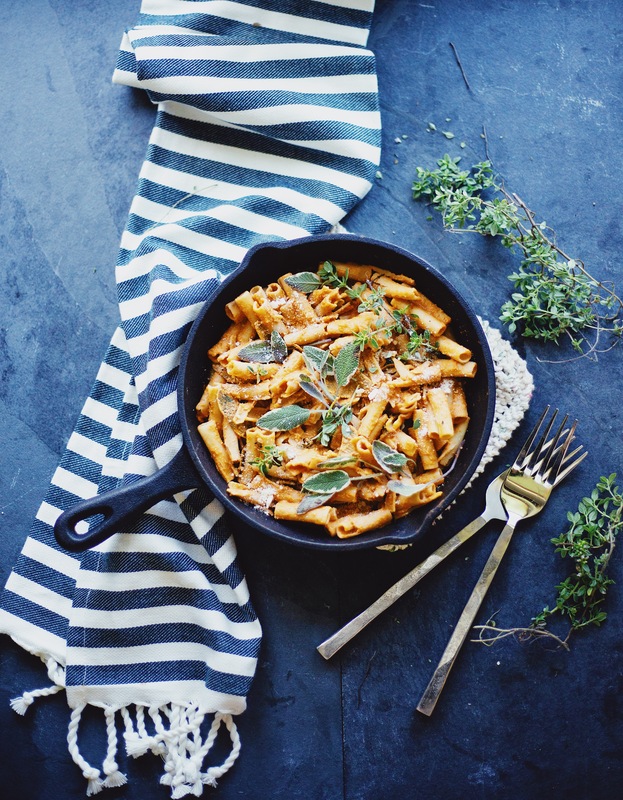 My Roasted Red Pepper & Herbs Pasta is simple to make and comes together in less than 45 minutes. 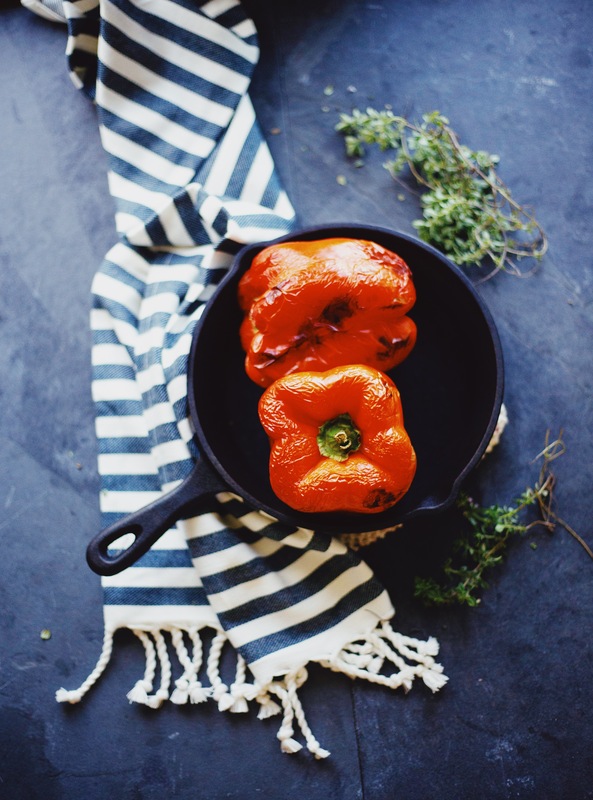 In a large cast iron skillet lay the red bell peppers on their sides. Transfer to hot oven. Cook until lightly charred, about 20-30 minutes—turning peppers to different side at 5-10 minute intervals. 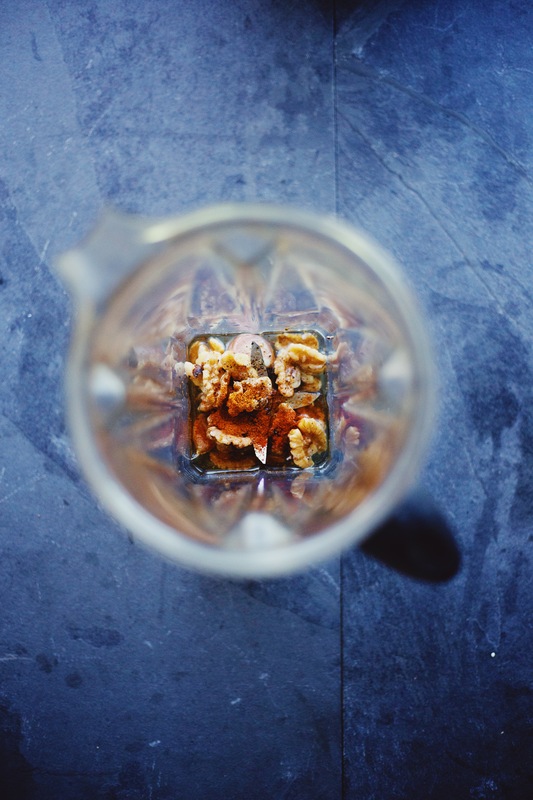 To a high-speed blender, add the garlic, walnuts, olive oil, lemon juice, paprika, cayenne, salt, and black pepper. Once peppers are finished, remove from oven, carefully cut out stems and add to blender. It is ok if seeds are left in the pepper. Blend sauce ingredients on high until smooth and creamy. 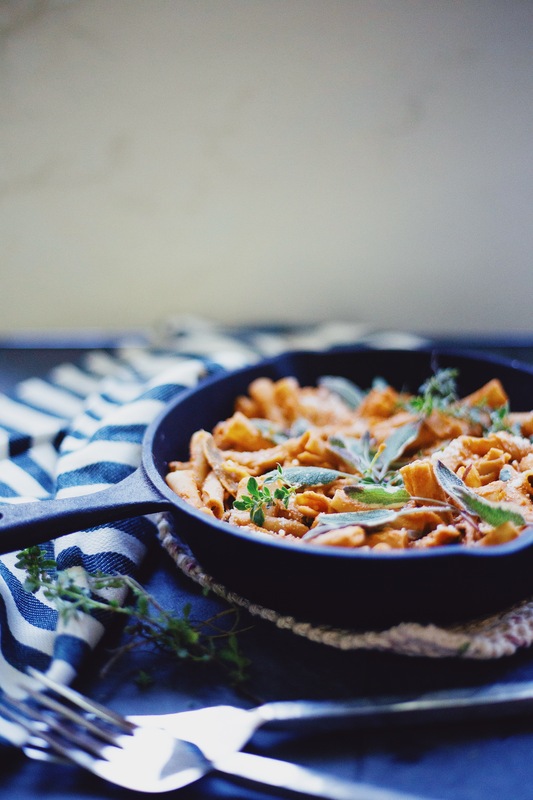 Add pasta back to cast iron skillet or large bowl. Spoon in sauce until well covered. Sprinkle in thyme and sage leaves. Toss well and top with parmesan cheese. Serve immediately. Leftovers will keep for up to 3 days in refrigerator. Sauce can be frozen for up to a month. 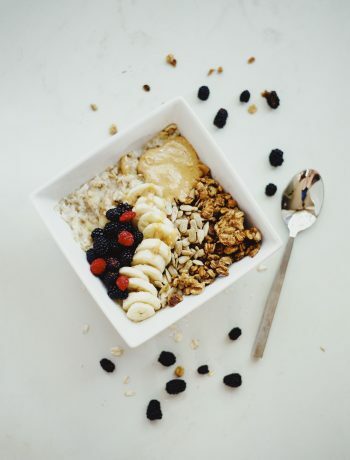 Nutrition information is a rough estimate of ⅛ of the recipe.